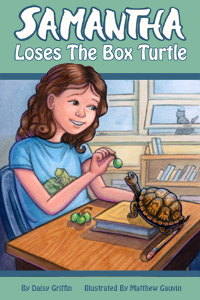 The author of the Samantha Series, Daisy Griffin is offering 3 of her books in the Samantha Series for a giveaway to one lucky reader of YourOrganicChild.com The books are Samantha Loses the Box Turtle, Samantha Hatches The Chicken Egg and Samantha Plays Possum. These books are well liked by young children and also make a great gift. Enter below using our Rafflecopter entry.